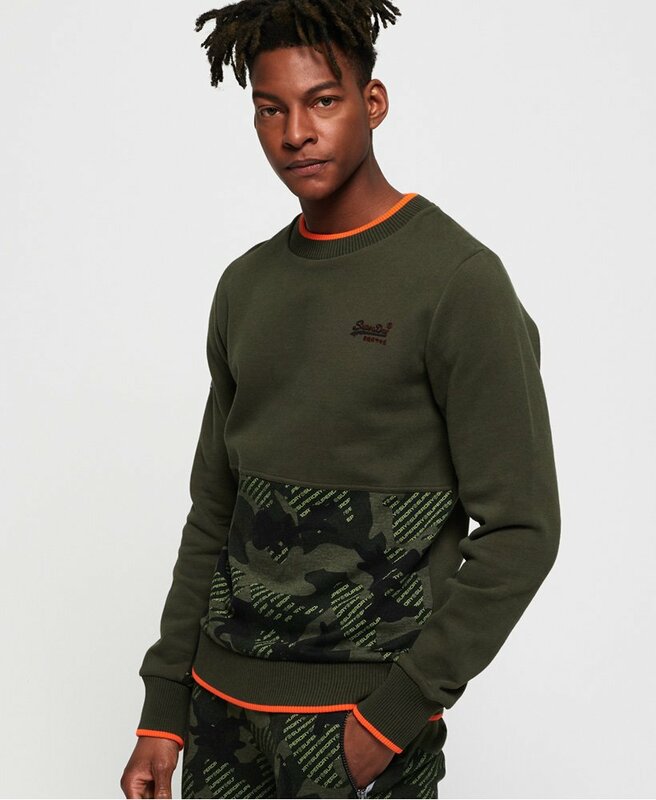 Superdry mens's Urban crew sweatshirt from the Orange Label range. This sweatshirt features a soft fleece lining and ribbed collar and cuffs with thumbholes. Finished with a textured Superdry logo on the chest and a Superdry logo badge on one sleeve. Perfect with a pair of jeans and trainers for an everyday look.